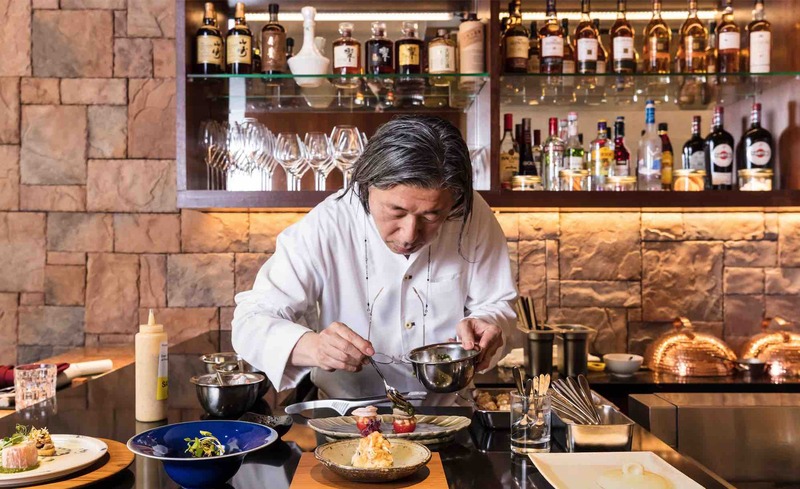 Famed as a pioneer of innovative French-Japanese cuisine, Kyoto-born Michelin-starred Chef Masayasu Yonemura starts a new chapter of his stellar 30-year culinary career with the brand new Teppan by Chef Yonemura at Resorts World Sentosa (RWS) in December 2017. More than just his very first outpost beyond the shores of Japan, the restaurant is also his first establishment in the world that showcase a brand new three-in-one theatrical dining concept that combines the artistry and showmanship of teppanyaki, cocktail mixology and flambé desserts. Borne out of Chef Yonemura’s fascination in the simplicity yet complexity of the teppan grill and his ingenuity in fusing east and west dining, he conceptualized Teppan by Chef Yonemura after formulating for some years on giving the art of Japanese teppanyaki a modern twist. The restaurant’s cuisine blends his forte in innovative French-Japanese fare with the skills and traditions behind the teppan grill to create an entirely new and unique teppan experience. This is where the artistry of teppanyaki meets nouvelle Japanese kaiseki. Teppan by Chef Yonemura exclusively presents multi-course kaiseki menus which presents the finest ingredients air-flown from Japan and exquisite dishes that are expertly executed using the teppan grill together with a combination of contemporary and classic cooking techniques. 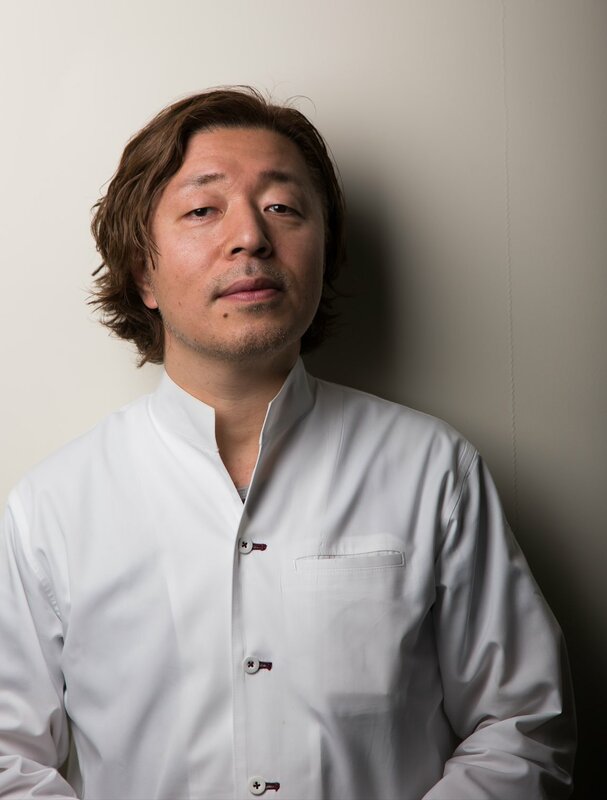 With a background in French culinary training, Chef Yonemura’s well-honed ability to marry elegant Japanese accents with the bold flavours of French cooking has earned his cuisine a fine repute among epicureans as ‘Yonemura-style’. 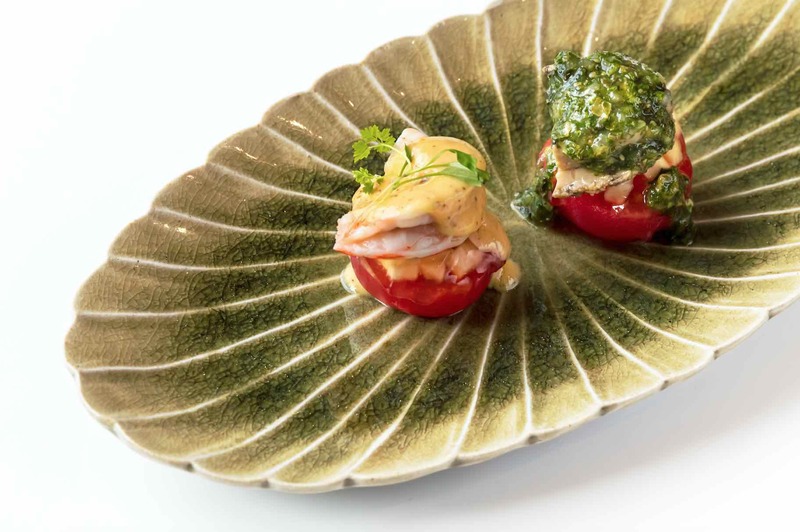 You will begin your dining experience with an attention-grabbing flaming cocktail followed by a series of elegantly presented amuse bouche and appetizers which bear the hallmark of Chef Yonemura’s Michelin-acclaimed signatures, paving the way for the main teppan action. Seasonal meat or seafood and grains will be masterfully prepared on the iron griddle in front of guests a la minute which will tantalize the senses with sizzling sounds and irresistible aromas. The meal then ends with delightful desserts. Highlights on the menu include exquisite creations like Mushroom Croquette with Beef Stew Sauce; Steamed Crab Meat with Rice; Live Prawn & Abalone Stuffed Tomato; and the Oyster and Lobster Bouillabaisse. Seared to perfection on the teppan grill is the luscious Japanese Wagyu Beef Fillet Steak with Turnip, Zucchini, Onion and Fried Shallots. The beef is served with Chef Yonemura’s original recipe of peanut butter garlic sauce; ponzu sauce and grated radish as well as rock salt. Also prepared on the teppan grill is the flavourful Kyoto-style okonomiyaki inspired Garlic Rice and Pasta. 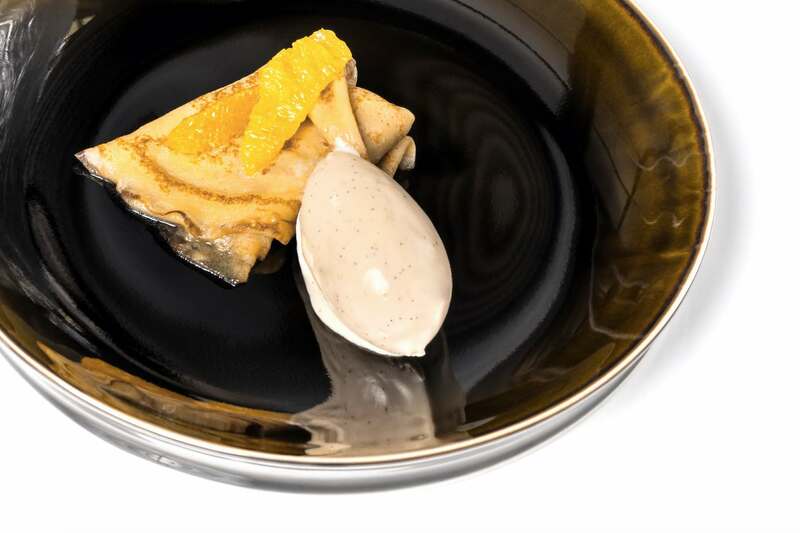 For desserts, the chefs make use of the Japanese teppan creatively to flambé the French classic Crêpes Suzette in Grand Marnier before serving it with housemade vanilla ice cream. A fine selection of magnificent French-Japanese desserts will also be made available in an adjoining desserts room. Made fresh daily with premium Japanese fruits and ingredients, the creations are delicate and deliciously light – such as the Crêpes Suzette “A la Teppan” served with fresh oranges, pineapple juice, Grand Marnier and vanilla ice cream; Soy Milk Blancmange Okinawan brown sugar syrup and Vanilla Anglaise; and Japanese Crispy Choux, a delicate almond Craquelin served with Diplomat cream and fresh fruit. Folks who wish to experience the sweet treats can head straight to the restaurant’s desserts room to enjoy these sweet creations. Chef Yonemura’s affinity with Singapore began more than 10 years ago. He has visited Singapore on several occasions to present his culinary arts at some of our gourmet events. He was most recently invited to be the guest chef of RWS’ signature Art at Curate dining series in January 2017 and The Great Food Festival in September 2017 which ignited his desire to collaborate with RWS to open a restaurant in Singapore. 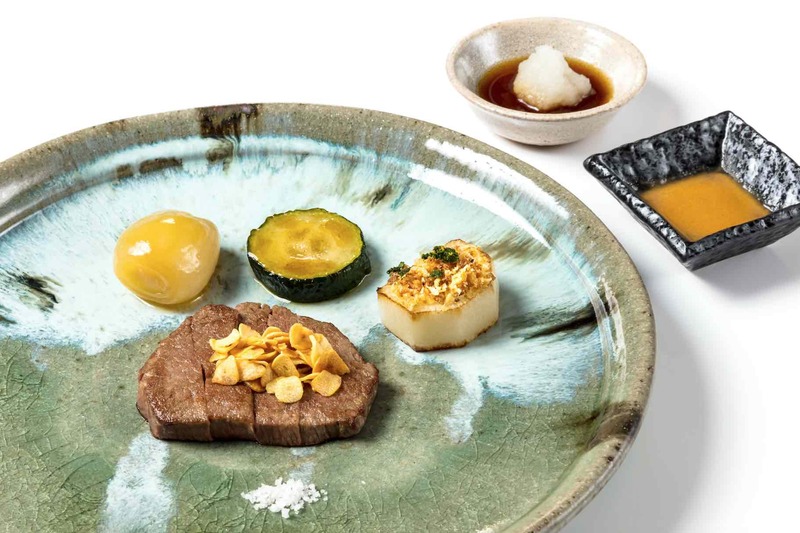 Teppan by Chef Yonemura, a culmination of his talents, expertise and culinary ideas since he opened his first Kyoto restaurant in 1993 and his second establishment in Tokyo in 2004, is set to shine on Singapore’s dining scene. With a team of experienced chefs who have trained with Chef Yonemura in both Japan and Singapore, Teppan by Chef Yonemura promises an unforgettable theatrical and delicious dining experience. The restaurant comprises three dining rooms which accommodate 21 guests in total. The exclusive space ensures personalized service so that you and your friends can enjoy watching the chefs in action and interacting with them in an upscale yet relaxed and lively setting. Address: Level 1, The Forum, Resorts World Sentosa 8 Sentosa Gateway Singapore 098269 | Opening Hours: 6.00pm to 10.30pm Daily (Except Sundays and Mondays) | Price: A 5-course dinner is at $168++ per person and an 8-course dinner is at $198++ per person. Sake pairings with the menus are also available. | Advance reservations are required via (65) 6577 6688 or email [email protected]. Teppan by Chef Yonemura is the latest addition to Resorts World Sentosa’s stable of Michelin-starred restaurants and celebrity chef restaurants, bringing gourmands yet another exciting offering in this premium lifestyle and dining destination.